Posted on Saturday, December 31, 2011, by Dean "The Machine" Childers. (S0413) Sanctuary takes off its training wheels in "Sanctuary for None Part Two" and revels in its violent glory. People are dying and being knocked out every second in this season's finale. And it's beautiful. Why, do you ask? Because now we finally see what Helen Magnus (Amanda Tapping) has been making this entire time. After lying to Will (Robin Dunne) about her ties with the the big bad of the season, Helen Magnus prepares for the final brawl with the abnormal extremists. Helping her are electro-vampire Nikola Tesla (Jonathan Young) and werewolf nerd Henry Foss (Ryan Robbins.) The extremists are now using the Sanctuary as their main base of control, meaning only one thing: the Sanctuary must be detonated. If there was any part of you that believed that this show isn't capable of doing away with its Victorian styled safe house, put it aside. After four years, the show does away with the titular sanctuary it is named after. Sanctuary has never been too bold with its unique concept, but it is one of the few Syfy shows willing to change itself every season. As I have previously discussed before, the cast changes almost every season and now they are going so far as to change the setting to a more advanced sanctuary. To be critical, the twist at the end is predictable. Magnus has to survive because Tapping is one of the main reasons to watch the show. The new “sanctuary” — as I expected it would be — is a CGI “Jurassic Park.” Even so, the chills the set gave me when I first saw it still remain. The development team are masters at crafting realistic CGI sets and now they have the license to go full throttle. 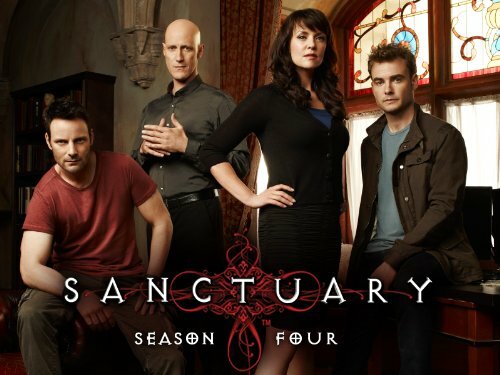 There has been no confirmation on whether Sanctuary will continue into a Season Five. After seeing this jam-packed season finale, it's hard not to desire more. Sanctuary continues to grow in scope and I hope I can continue to watch it blossom into great sci-fi television.